Know Newfield High Class of 1980 graduates that are NOT on this List? Help us Update the 1980 Class List by adding missing names. Please join the Class of 1980 in celebration of their 30th year Reunion! This is also a fundraising event for the Reese Strong Foundation, inspired by Julia Reese Klauer, the daughter of our very own William Klauer. This foundation is dedicated "to helping families stay strong in the battle against childhood cancer." REESE STRONG FOUNDATION C/O ROBIN SCHULTZER mail to 8 EDINBURG LANE EAST BRUNSWICK NEW JERSEY 08816. 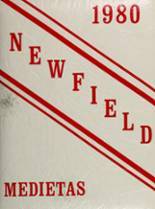 More 1980 alumni from Newfield HS have posted profiles on Classmates.com®. Click here to register for free at Classmates.com® and view other 1980 alumni. The students that went to school at the Selden high school called Newfield High School and graduated in '80 are on this page. Register to add your name to the class of 1980 graduates list.